Actress. Writer. Foodie. Book Nerd. Alosa’s mission is finally complete. Not only has she recovered all three pieces of the map to a legendary hidden treasure, but the pirates who originally took her captive are now prisoners on her ship. Still unfairly attractive and unexpectedly loyal, first mate Riden is a constant distraction, but now he’s under her orders. And she takes great comfort in knowing that the villainous Vordan will soon be facing her father’s justice. When Vordan exposes a secret her father has kept for years, Alosa and her crew find themselves in a deadly race with the feared Pirate King. Despite the danger, Alosa knows they will recover the treasure first . 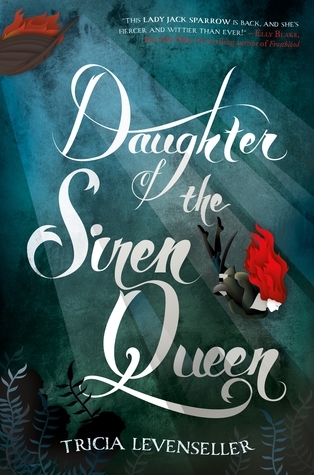 . . after all, she is the daughter of the Siren Queen. I'm Cristina; an actress who writes musicals, reads way too much, and does it all while cooking up a storm!